So, How Do You Sell Recruitment Automation & AI? The recruiting technology stack of an enterprise organization is excessively deep and wide in internal stakeholder reach. Systems are frankensteined together, one to fix the incompetence of the other. And each requires the manual effort of a recruiter. There is an arms race for talent and U.S. unemployment is at 3.7%. Nearly every organization has an “initiative” to evaluate their “processes” with the goal to “automate, augment, and improve” the cumbersome workflow that is deterring candidates and punishing recruiters. In other words, candidates are looking for the right experience when assessing a potential employer, and if the process they receive isn’t what they expect, they might not even apply let alone continue with an interview. As a sales leader in talent acquisition technology and former recruiter, I constantly ponder: has HR forgotten how to adopt new technology since their last legacy suite software purchase? Or worse, is Talent Acquisition at the kids table eating chicken nuggets and mac and cheese? Regardless, talent acquisition is internally fighting an uphill battle to adopt new technology with the goal of differentiating their employer brand in a crowded and noisy market. While we are on the topic of crowded and noisy – the words “chatbots” and “A.I.” are around every corner. There is a high probability that this is not the first article that you have reviewed on LinkedIn today in an attempt to wrap your head around where Silicon Valley is headed with this ambiguous technology play. At AllyO, we created an A.I.-based recruiting assistant to address the market problem. AllyO captures talent from the careers portal and through SMS messages from a text to apply number that is shared in recruitment marketing channels. AllyO uses Natural Language Processing to get the candidate screened through a ~3-minute conversation, and scheduled for an interview with those associated with the requisition. 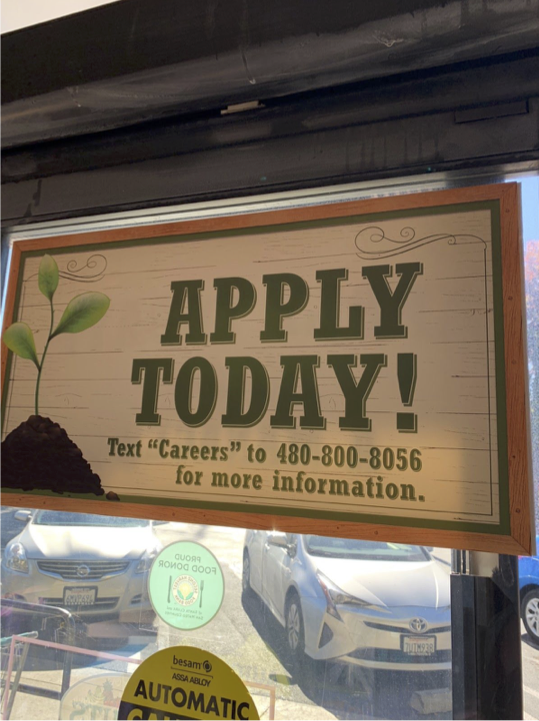 Below is a live example of Text-to-Apply from Sprouts. We encourage you to test this experience out. I remind them that they are paying their recruiter $35 an hour and ask why we are burdening professionals that are highly trained at the craft of recruiting, with administrative tasks such as cold calling, screening and playing the scheduling game back and forth via email. Candidates often sit in the ATS “black hole” for a week before hearing a response and then another week of back and forth dialogue in the pursuit of coordinating a meaningful interview, and that is if the candidates make it into the ATS. One study found that 64% of employers were unaware of how many qualified candidates were sitting in their own ATS. One example is Randstad Canada. Due to updated privacy laws, Randstad Canada enlisted AllyO to aide in gathering consent to store information from its 1.6M profiles using a combination of marketing automation and AllyO’s multi-lingual webchat. Of the 20,502 contacts that engaged with the email, 96% confirmed their contact information through AllyO’s webchat and 63% expressed interest in exploring job opportunities. That is nearly 12,500 candidates the Randstad Canada recruiting team can initiate conversations with to fill job orders. And, though this isn’t directly related to an ATS blackhole, complicated or lengthy applications can result in the loss of a candidate too. One company saw a 40% decrease in application completions when the process took 30-minutes or longer. Recruiters need qualified candidates on their calendars to begin building a relationship before the candidates get down the road in conversations with a competitor. There are estimations that top talent is gone from the market within 10 days. The lengthier the process, the greater the chance of missing out on a good hire. Of course, too fast of a hiring decision might mean an unfit new employee. These recruiters need AI, which strikes that balance between too fast and too slow. And AllyO will not be the worst hire your organization has made. In fact, she will work 24 hours a day, 365 days a year with no breaks or benefits. With any tool implementation, buy-in is crucial to successful adoption. Automation and AI, however, have even more obstacles. For so long there has been a stigma that the technology would eliminate the need for certain roles currently filled by people, alongside the usual “is this tool more time than it’s worth?” Much of that hesitance has subsided as 55% of HR managers already see evidence of AI becoming a regular part of HR in the next 5 years. Things like internal communications, candidate engagement and scheduling may be simple and standard, but they take time. And this will be an important benefit to highlight when presenting a chatbot solution to a talent acquisition team. The time gained back can be put toward the tasks many recruiters and HR folk love most: connecting with people and growing an organization. Additionally, AllyO provides KPI tracking and reporting so that the team knows when things are in need of adjustment while higher level leadership can easily check on the health of the department. These insights help hiring and HR teams who pursue process improvements, but don’t know where immediate need lies. Data can highlight where resources should be focused, in short term and long term strategy development. Recruitment automation and AI can seem like a huge undertaking to a team who is already overwhelmed. However, investing now will save in the future, just like the above data shows. That doesn’t mean everyone will be ready for the commitment. To counteract the stress many will feel, ensure you have a plan for product implementation, integration with your ATS/CRM, and change management. Some recruitment technology, like AllyO, provide a very hands-on process and support throughout. Those elements will make the process easier to approach. For other technologies, leadership will need to set aside a schedule for strategy and the expected go-live time. Be sure to add resources and contacts that can help teams and individuals who encounter snags. We must stop scratching our heads and asking why it is so hard to get in front of qualified talent. The proof is in the recruiting metrics and our clunky over-engineered systems. Adopt an AI-driven candidate experience to differentiate your talent strategy from the status quo and engage more candidates into your talent funnel. Have a best in class mobile optimized Applicant Tracking System that encompasses a natively built onboarding module. 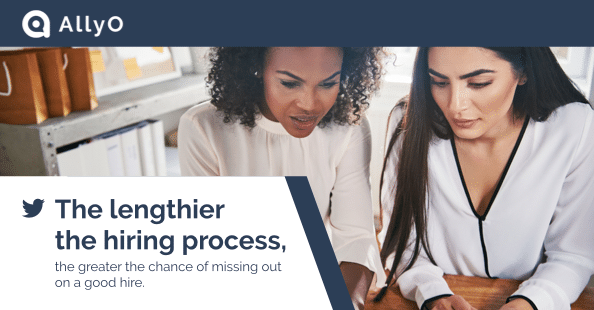 Ready to overcome your clunky and over-engineered recruiting process? Schedule a demo or pilot AllyO and see how recruitment automation and AI can transform the way you hire.